Yay, more link-up fun to be had! 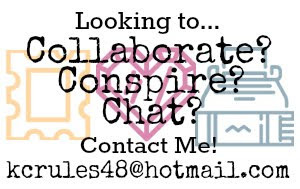 The originator behind this amazing link-up is my lovely sponsor and super-special friend, Krystelle from Krystelle's Miss Tells. You can click here or the photo above for her original post and feel free to participate as well! Rockin' my new red lip. 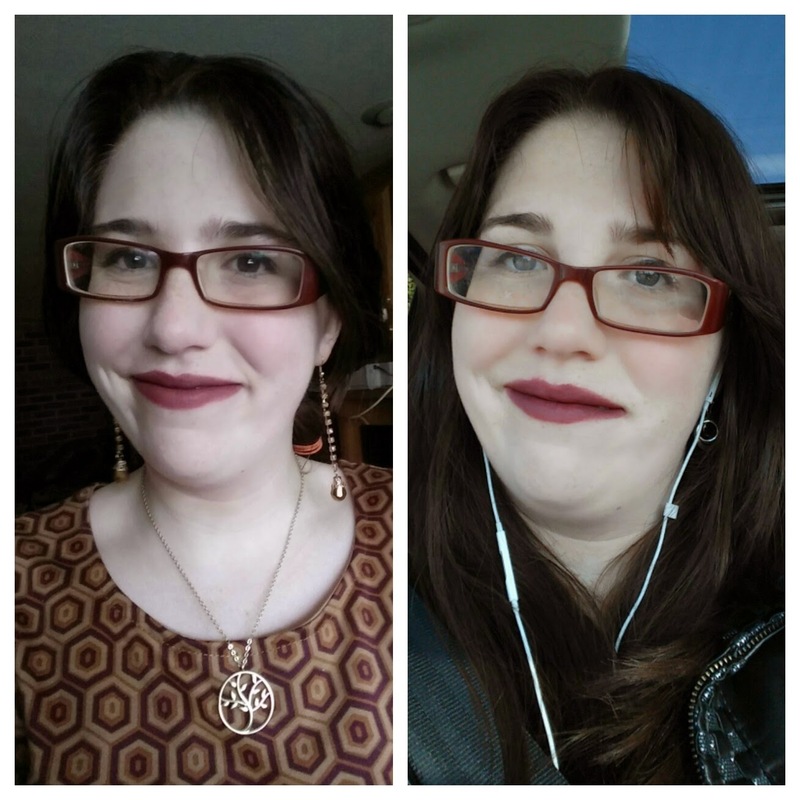 Actually wearing one of my favorite fall dresses with braided hair in the left picture. 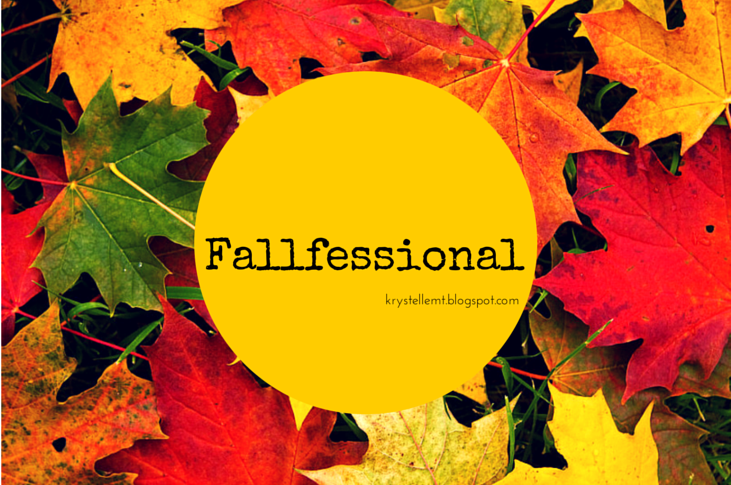 1) This is the very first time that I have been genuinely excited for fall. 2) I don't like pumpkin spice lattes - but I love hot apple cider! I never caught on to the whole pumpkin craze that comes and goes with the fall - I'm a bit of a picky eater and one of the many things I'm not a huge fan of is the taste or smell of pumpkin. But ever since my first taste of hot apple cider when volunteering for the Balls Falls Thanksgiving Festival back in high school, I've been hooked. My favorite comes from Second Cup, and includes an actual cinnamon stick, but the hot apple cider from Tim Horton's is really yummy as well. I have some for the Keurig, but it's just not the same. The 3 pins on my jacket there are 1 IGGPPC pin, one of a frog that says Don't Bug Me, and one of Ryuk from Death Note. 3) I've been wearing the same corduroy jacket as my fall jacket since I was 13! With brown corduroy on the outside and a pretty silk lining on the inside, this is a jacket I have constantly adored since my mother brought it home for me from a recent trip to Costco. Sure it's a little more worn now; two of the bottons have fallen off and there's now a hole in the lining of the left pocket, but I still like the blazer style of this jacket and it still fits me perfectly and I enjoy wearing it out to keep away the cool crispness of the air. 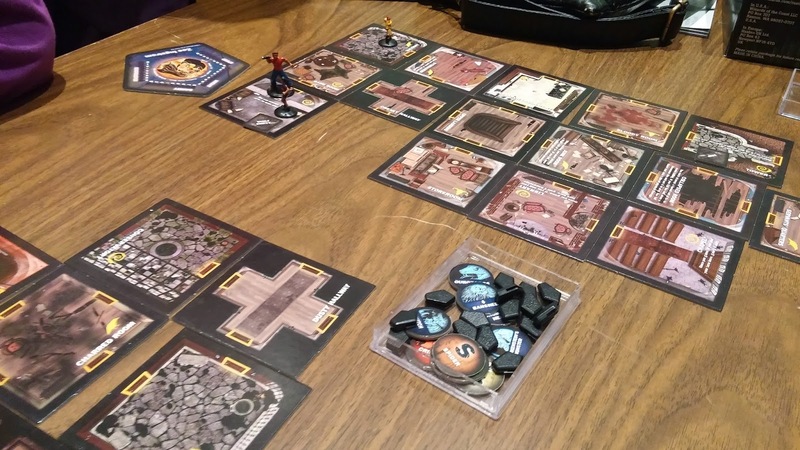 4) My top board game to play in the fall (or any time of year) is Betrayal at House on the Hill. Ever since me and 2 of my friends each paid for a third for our own copy of Betrayal, we've been playing it as a group non-stop. This is a game with a roleplaying element that my friends adore, with a board that is different every time you play, plus with 50 different scenarios to be played out after the haunt is revealed, it has massive replayability and is a constant source of fun. It's the perfect Halloween game but we've been playing it since August. Although last Friday when my girlfriends came over to play another rousing round of Betrayal, we dimmed the lights in the den to make the game a bit more atmospheric. They also came up with the idea to play this game by candlelight, but given that there are a lot of paper and cardboard pieces to this game, I vetoed that option right away. 5) I wish I was in New York City right now so badly! Correct me if I'm wrong, but I'm pretty sure that New York City has to be one of the most gorgeous places to visit during the fall, and not just for the changing leaves and light pouring through the tree branches in Central Park. It's not like my own street isn't incredibly pretty this time of year when the leaves start falling and the air cools down, but it's got nothing on NYC. I've only been to the Big Apple once in my life, and it was during the last week of January/first week of February, and I'd very much like to see the big city at least once during each season.